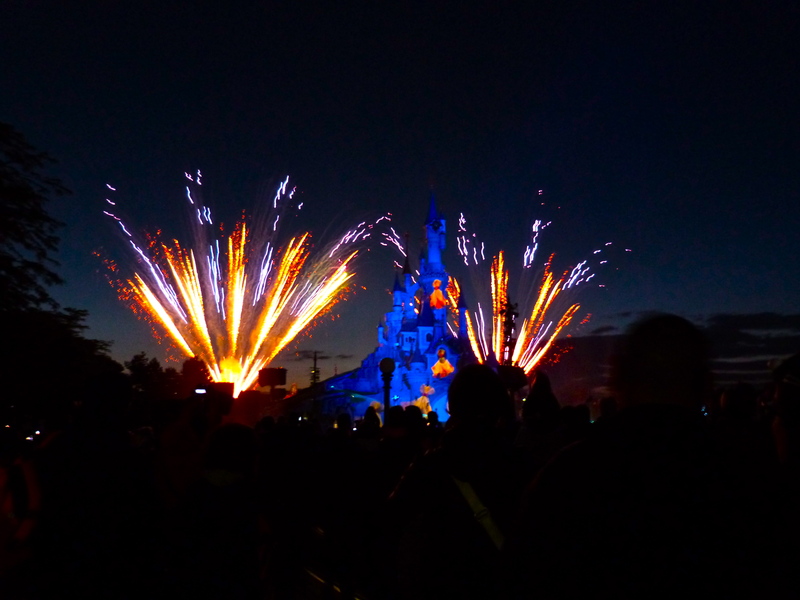 Should you really be schlepping that baby to Disney World for a family themepark vacation? Parents inevitably reach a stage in their lives when they ask themselves: why are we planning a trip to a theme park? Is it for us, for the kids, for the grandparents, or to tell the neighbors? We just met an Atlanta dad who drove a van with 11 relatives and his own kids (four of them, two under the age of 3) to Walt Disney World for a family vacation. This humbled dad admitted he needed a “recovery vacation” to get over the stress of that long drive. Not to mention minding all the kids so other adult family members could go on rides they wanted. Before you choose a destination, decide who you are planning this vacation for. he or she will likely not appreciate the experience, and may be frightened by the costumed characters and noises. maybe they should be encouraged to go with friends to the local thrill park so the family can spend time together (and less money) doing something else. If it’s for you – decide what you hope to get out of a themepark vacation and choose the right destination. Read on for some guidelines, and ask yourself some questions before you plan that next themepark getaway. 1. Are your youngsters yearning to breakfast with Disney pals? Stay at one of Orlando’s official hotel partners of the Disney World Resort. 2. Do your kids want to get behind-the-scenes of an action movie? Spend a day at Universal Studios Hollywood, which is even more “Hollywood” than Universal Studios in Orlando, because you can join the exciting studio tour around this working movie studio’s backlot. 3. Is everyone ready to befriend creatures of the deep? 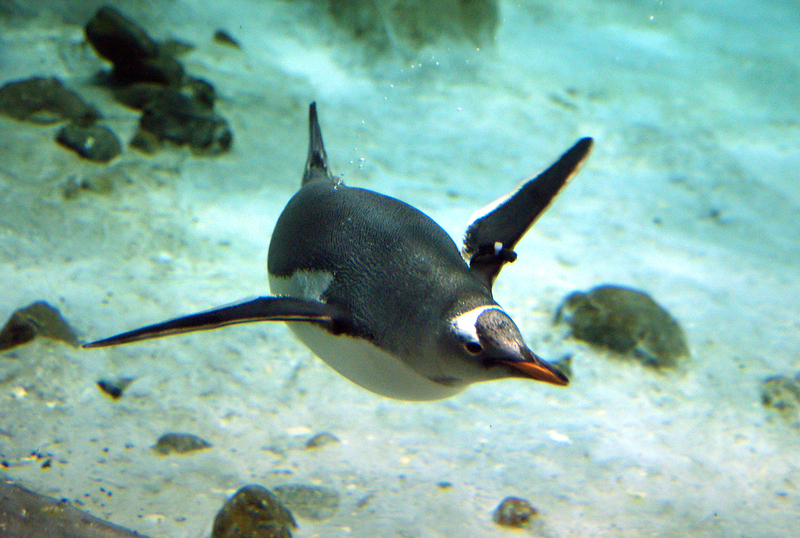 Visit one of America’s educational and entertaining SeaWorld owned marine parks. If your kids are into animals and trained animal shows, the three named SeaWorld (Orlando, FL; San Diego, CA; San Antonio, TX) are the best for shows. Discovery Cove (Orlando) is the best for hands-on interaction with marinelife. 4. Are comic book characters and superheroes your kids’s idea of the perfect theme? Universal Orlando’s Islands of Adventure has integrated favorite superheroes into imaginative and exciting rides. 5. Is it the old-fashioned combination of carousels, log flume rides, wild animals, costumed entertainers, cotton candy and souvenir stalls what appeals to your kids? The Busch Gardens themeparks in Williamsburg, Virginia and Tampa, Florida offer European and African themes respectively, both carefully integrated into authentic architecture, beautiful landscaping and wild rides. 6. Are your preschoolers more comfortable surrounded by familiar characters? Plan a weekend with Elmo at Pennsylvania’s Sesame Place, a great park for preschoolers. Fans of Snoopy are lucky that the themepark company Cedar Fair has established delightful Planet Snoopy toddler thrill zones at New Jersey’s Dorney Park & Wildwater Kingdom, and at other famous themeparks such as Cedar Point in Ohio; Canada’s Wonderland; California Great Adventure and several others. 7. Are the big siblings looking for the fastest, steepest, most head-spinning thrill rides in the world? Try one of the 19 Six Flags parks across the United States, Mexico and Canada. 8. 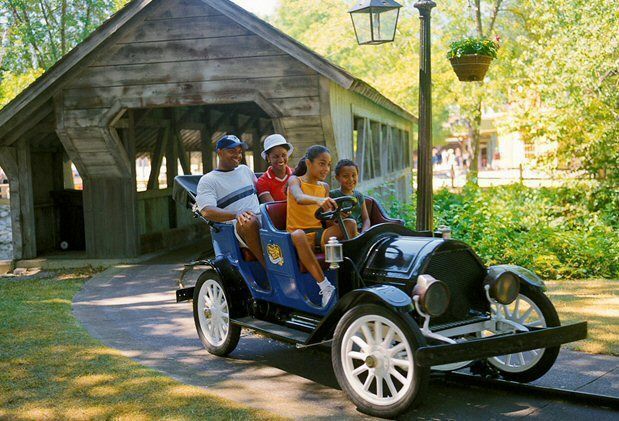 Does everyone in the family — big, little, old, young — want something different from his or her theme park vacation? We have a favorite place that’s guaranteed to have the variety of facilities to suit all ages and interests: Cedar Point in Sandusky, Ohio. 9. Is this vacation all about you and nostalgia for long-ago times? Head to some of America’s most historic parks. The Santa Cruz Beach Boardwalk in California dates to 1907 and has a beautiful seaside setting. Lake Compounce in Connecticut is much smaller, but still retains some of its pre-WWI charm. And last but not least, the legendary Coney Island, on the beach in Brooklyn, New York, has been restored and added onto, so that classic attractions like the wooden roller coaster Cyclone, and the glittery spinning WonderWheel, are back in business and fun for all ages. We don’t have much patience for themepark lines, but you will find them everywhere. Many parks have a free, automated system that issues timed tickets to reduce the wait, and others have a premium fee that will put you ahead of other guests. There’s even guided VIP service at some parks, where your whole group is escorted to the head of the line and entertained with insider gossip about the rides and their creators.Take advantage of one of these options to reduce the inevitable wait time. “Line Jumping” policies are severe. Line jumping is defined as cutting in front of other guests already waiting in line; leaving the line, then trying to re-enter at the same point; or saving a place for someone. Whether it’s you, or just one of the kids going to the restroom and rejoining the line, all of you may get booted off. Plan ahead, and make all stops before entering a themepark ride line. In some really strict places like Cedar Point, line jumping may lead to dismissal from the park. Hand luggage is another issue where park policies differ. In some parks, some rides can accommodate guests wearing backpacks, some rides have storage bins on the load platform, others have pay lockers at the head of each line, and others do not allow any kind of bag in the park or the lines. Employees at the gate and most ride entrances will inform you of what you can and cannot take in line with you. The less you carry in, the fewer problems you will have. Some more general tips are to avoid the crowds by visiting Tuesday through Thursday, the least crowded themepark days. In general, May, June or the week before Labor Day, when many locals in the big themepark states of Florida, California and Ohio go back to school, are the least crowded months. Another time-savings tactic is to enter or return to the themepark after sundown, when the crowds lessen. Share your favorite themepark tips in the Comment field!